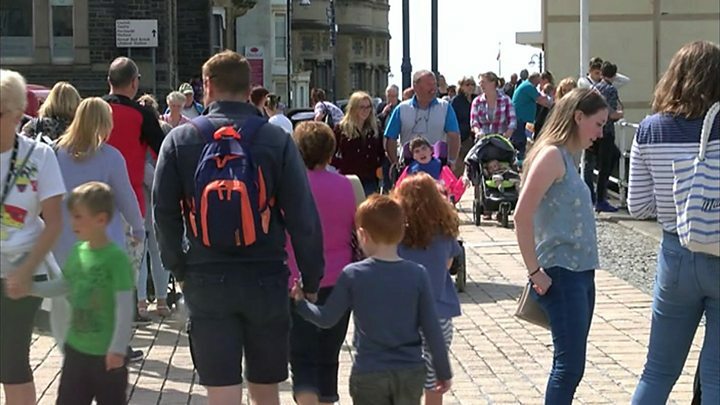 More needs to be done to ensure better accessibility for people with disabilities at popular tourist locations, an organisation has said. 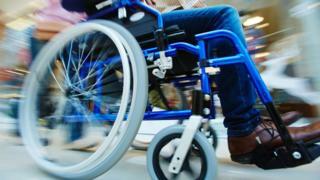 Disability Wales said disabled people and their families were being excluded due to a lack of accessible toilets, facilities and services. Chief executive Rhian Davies said services provided by local authorities and businesses were "not good enough". The Welsh Local Government Association has been asked to comment. "One of the basic principles of independent living is for disabled people to have choice and control over how they go about their day-to-day lives," she said. "This includes having access to cultural opportunities such as visiting tourist attractions and accessing other recreational activities. "Local authorities should do more to ensure accessibility of tourist attractions and events, as should local businesses." Ms Davies added: "Disabled people and their families are currently being excluded from finding accommodation, places to eat, and visiting events, locations and attractions due to lack of accessible toilets, facilities and services. It simply isn't good enough." Arthur Lewis, from Shropshire, who is on holiday in Ceredigion with his daughters Katie and Becky, said he struggles to visit local attractions because Katie, 22, has a severe form of cerebral palsy and is completely dependent on a wheelchair. "We like Aberystwyth and Borth because there's relatively flat areas to get around," he said. "However, when we went to one tourist attraction in the town, they said Katie wouldn't be able to use it to its full extent. So I thought there's no point in paying for that. "There's very little for disabled people in surrounding areas like New Quay, Aberaeron and Aberdovey." Mr Lewis, who owns a specially adapted lodge in Borth, added: "We do struggle with the public toilets here too. There's no proper changing areas for Katie to use. "In our local shopping centre in Telford, they have changing areas with hoists to help lift her out of the chair, but there's nothing like that here." The Vale of Rheidol Railway in Aberystwyth is making a large investment to improve its disabled access. General manager Llyr Ap Iolo said: "We are rebuilding four carriages. They date back to turn of the 20th century, so they do not have disabled access. "Part of a quarter of a million pound coastal communities grant will be spent on making the carriages suitable for wheelchairs with proper disabled access. "It's something we're not able to offer at the moment. This will make a big difference and mean that wheelchair users will be able to enjoy trips through the valley without having to leave their wheelchair."